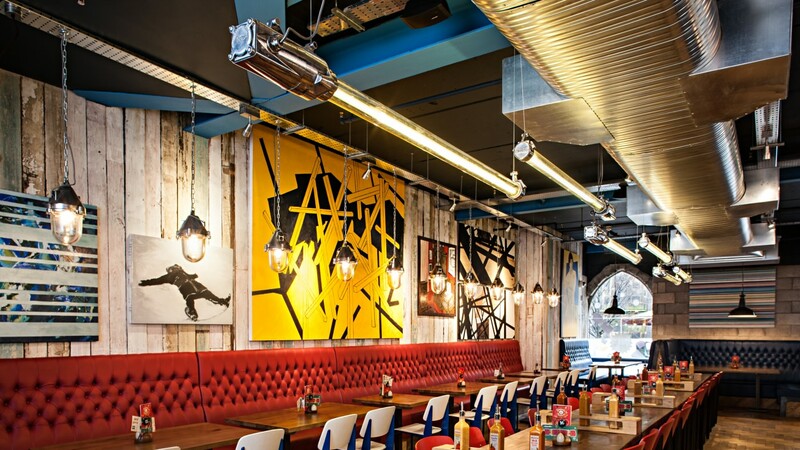 A large selection of skinflint vintage lights were specified by Moreno Masey for the impressive interior of Nandos Aberdeen. A stunning array of our superb 1950s British industrial fluorescent fixtures with an equally impressive run of Czechoslovakian aluminium and glass pendants adorn the ceiling of the main space. A fantastic interior with some beautiful detailing…..don't miss the stunning stairwell wall art!